Electra guitar enthusiasts gathered in Ypsilanti MI this weekend to compare guitars and share enthusiasm for these great vintage instruments. 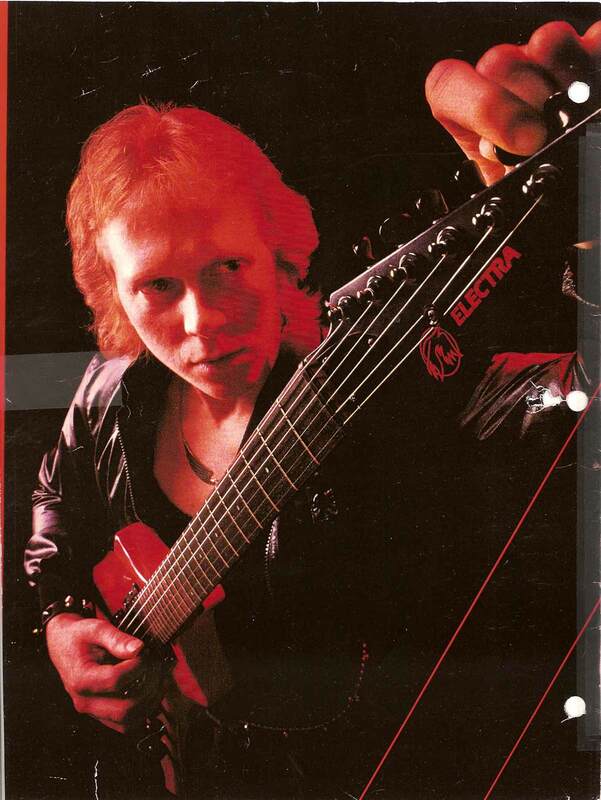 Electra Forum regular ProEndorser hosted a weekend of events and music, and his rhythm section and studio gave everyone a chance to hear these guitars in their natural (loud) environment. 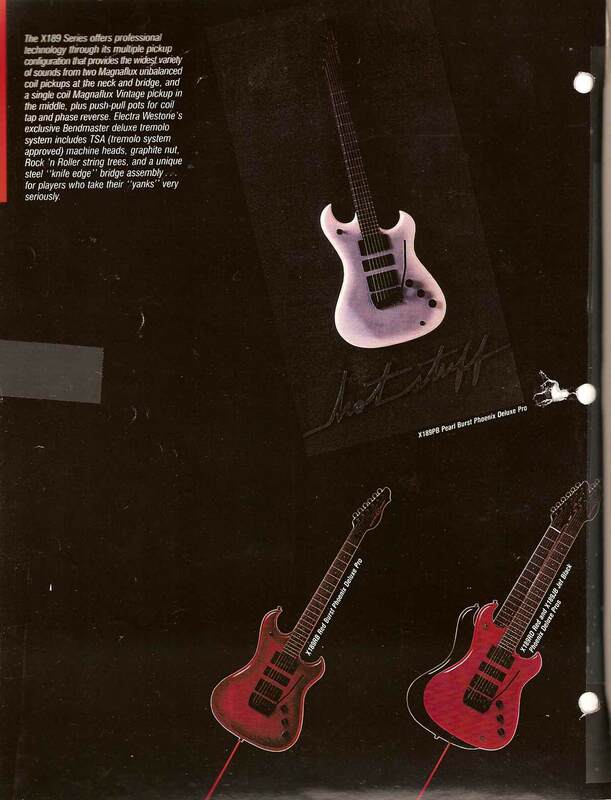 Set neck Les Paul Junior copy; red mahogany body and neck, silver hardware with black pickguard, pearloid tuners. 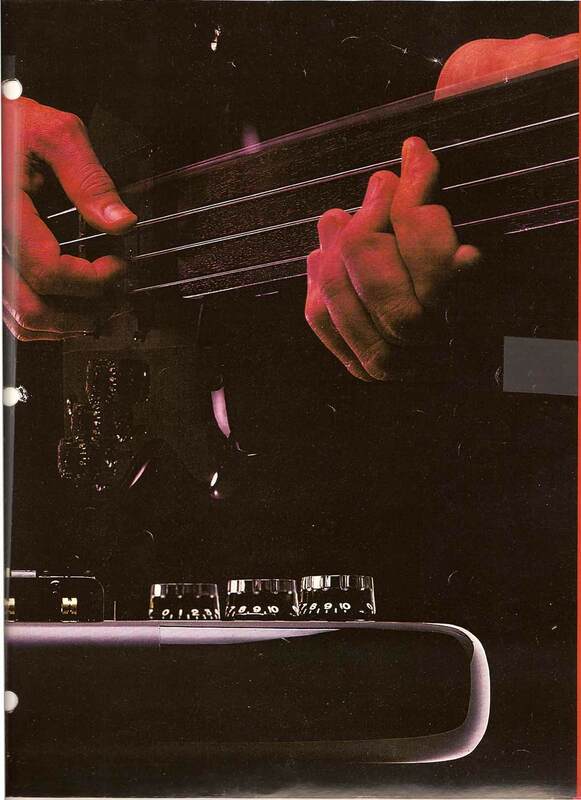 Dual P-90 pickups, Rhythm/Treble switch, VVTT controls. This remarkable specimen is the only known example of this model, which does not appear in any known catalog. 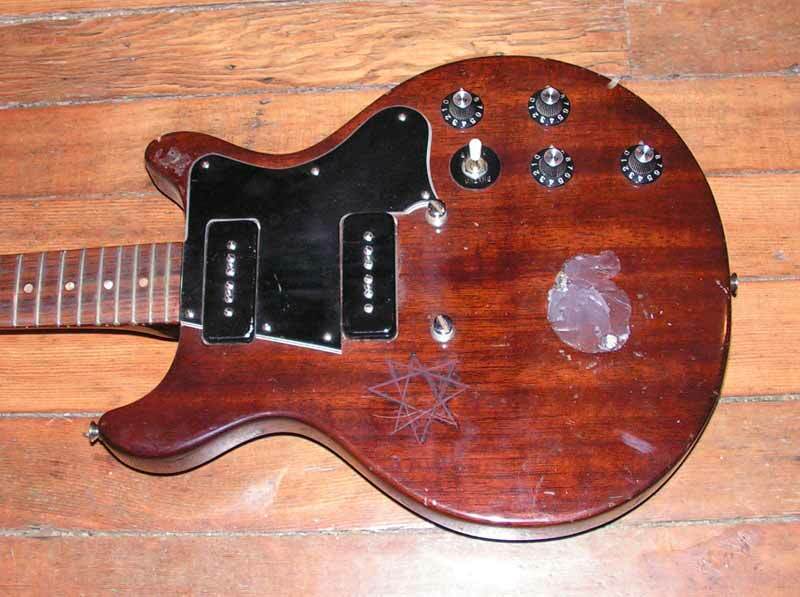 It is also the only known example of an Electra guitar to be made with P-90 pickups. 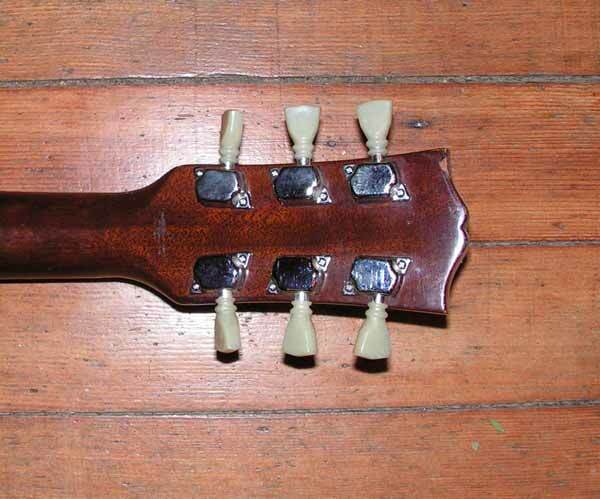 The detail of the brown paper still glued to the control cavity ciover, as well as the general fit and finish of the instrument, are in every way identical to details of various models of Crown guitar, a brand known to have been distributed by Hoshino and made by Fuji Gen Gakke. 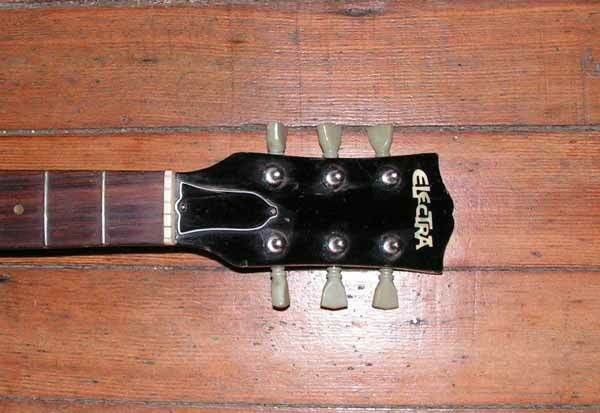 Although this is a rare Electra model, if we look at other brands we see similar copies of this model sold under other brands such as Greco. 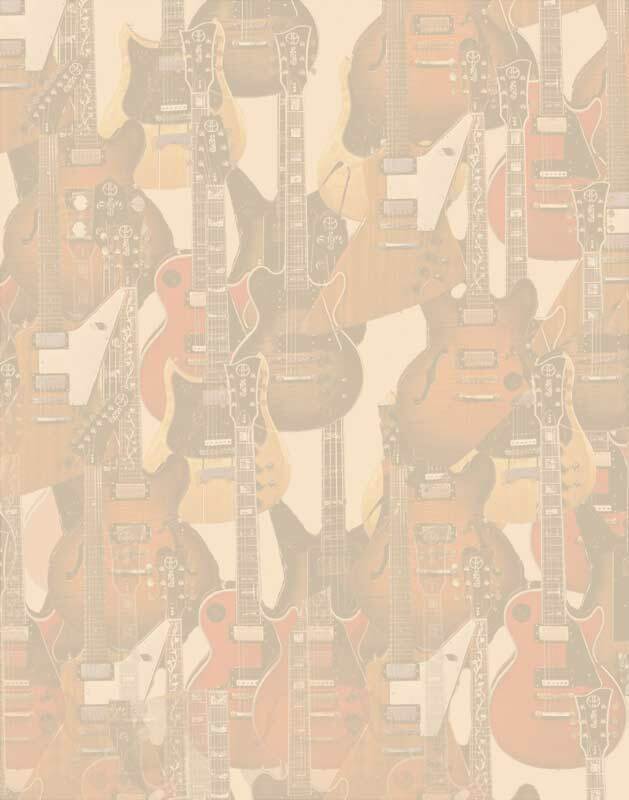 At the time any US distributor could simply order up any model and have whatever brand name and logo inlaid in pearl on the headstock. One possible explanation for this undocumented model is that it could have been ordered not by SLM, but by PCM, who distributed in much smaller quantities. 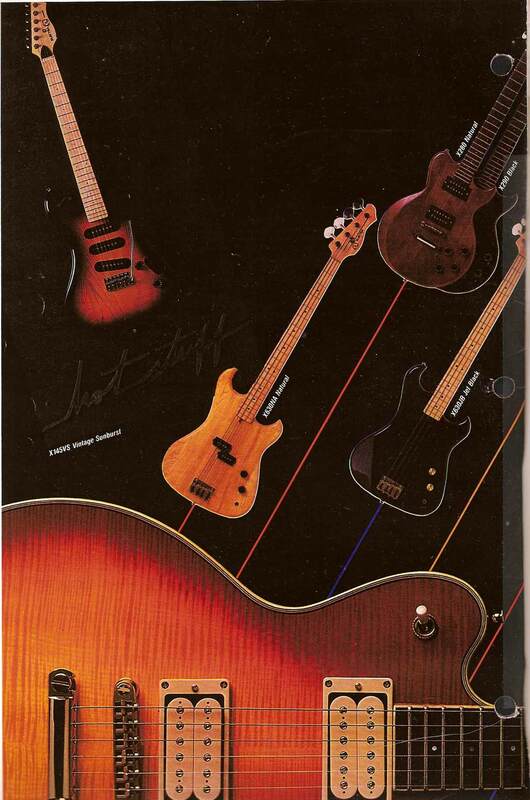 If SLM had sold this guitar it seems likely that it would show up in a catalog, or another example would appear. This example appears in 'as found' confdition, with missing bridge hardware and graffiti scratched into the top. 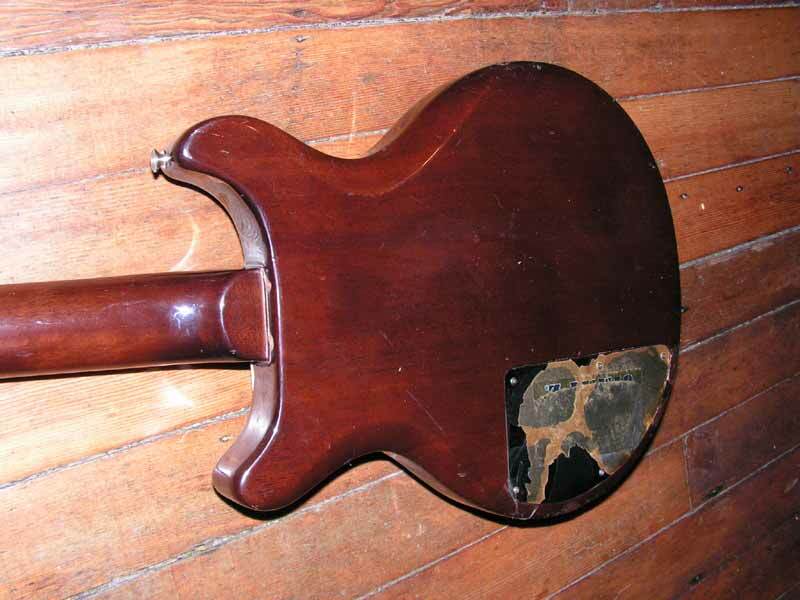 It previously had a large silver belt buckle glued to the front, which came off without damage to the guitar. The remaining glob of silicone caulk glue is still coming off, very slowly. 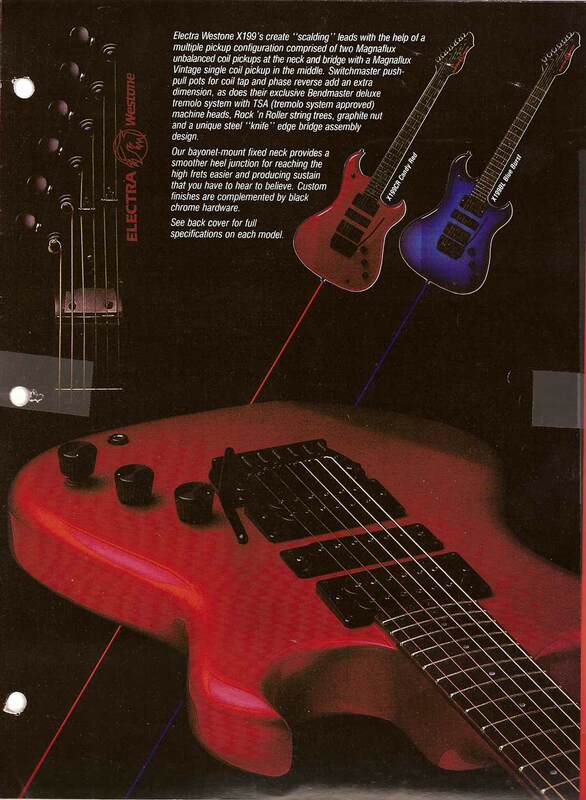 This glossy 12-page brochure explains the bewlidering variety of Electra Westone (no longer Electra Phoenix) models. 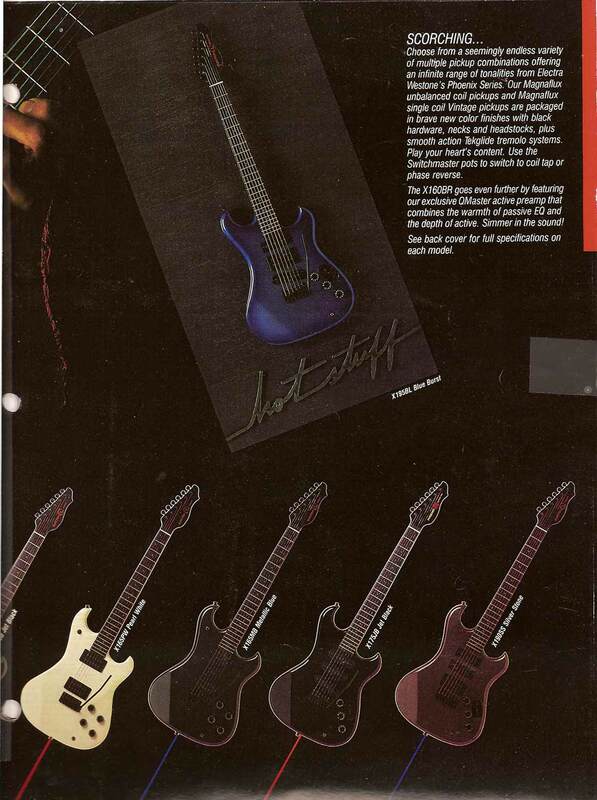 Only a handful of other models remain. The pointy models are in full display, with only the later Monark and Dim IV not yet released. Be sure to click the images to view larger versions, they're actually quite large to show the detail. 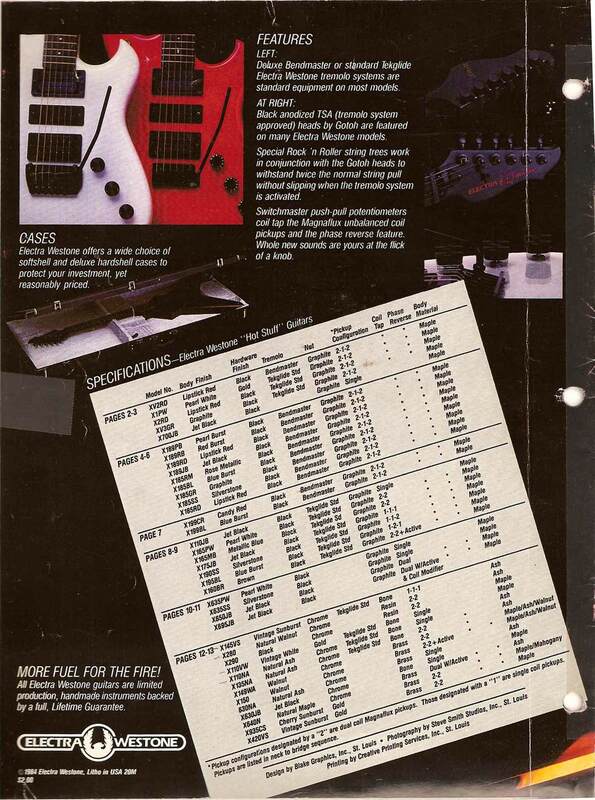 1984's catalog is pretty dark, and it's hard to see details clearly, so the magnification helps. 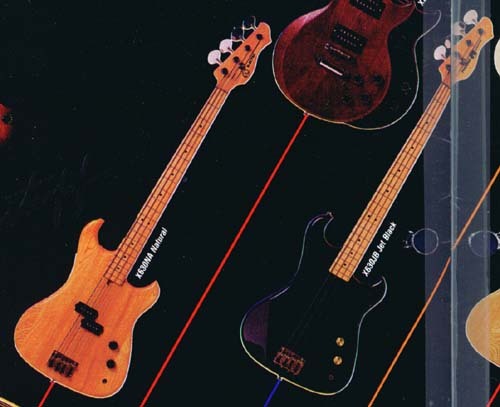 Like the X630 bass and X130 guitar, two series exist. All are bolt neck double cutaway with ash body, maple neck, chrome hardware, brass hardtail bridge with two double coil pickups with 3-way selector, active EQ circuit. 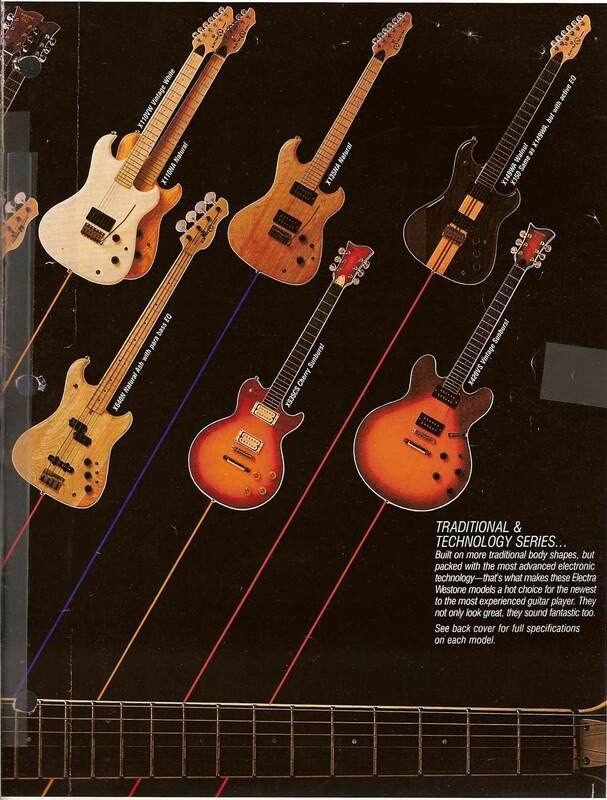 The early (1981-2) seris had a black pickguard, brass nut, brass knobs. 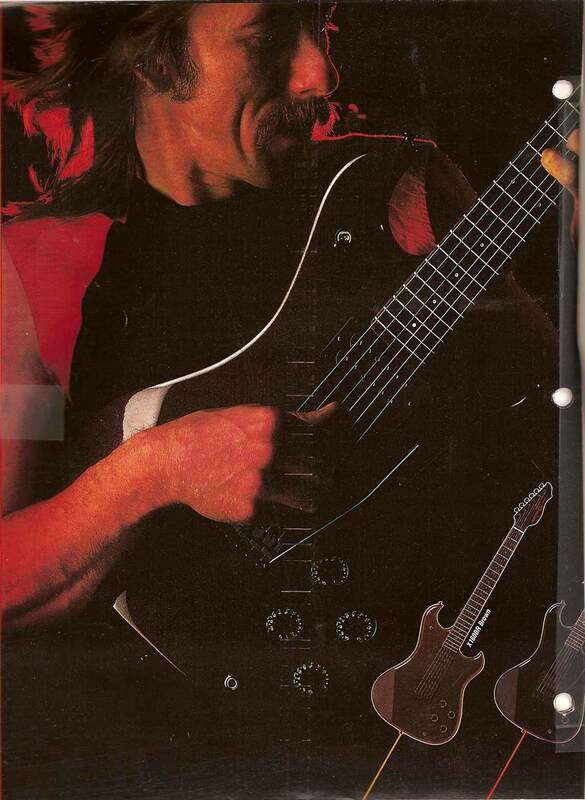 The later (1983+) series had pickups installed flush into the body with no pickguard, and black knurled speed knobs. 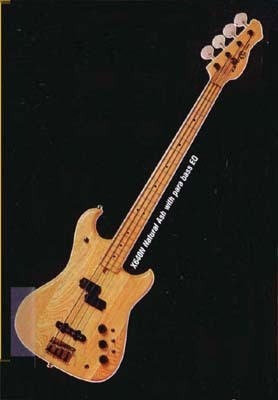 The lucky bass player has five different finish versions of this active EQ model, compared to the guitarist's one for the X150. 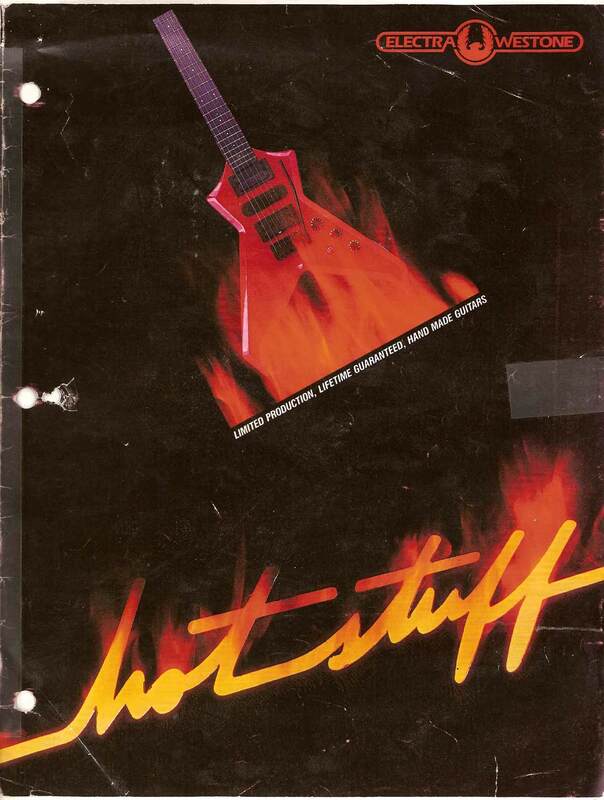 The X640W might be one of the rarest of all Electra Phoenix, at present we have no image of one and only the catalog's mention of its existence. 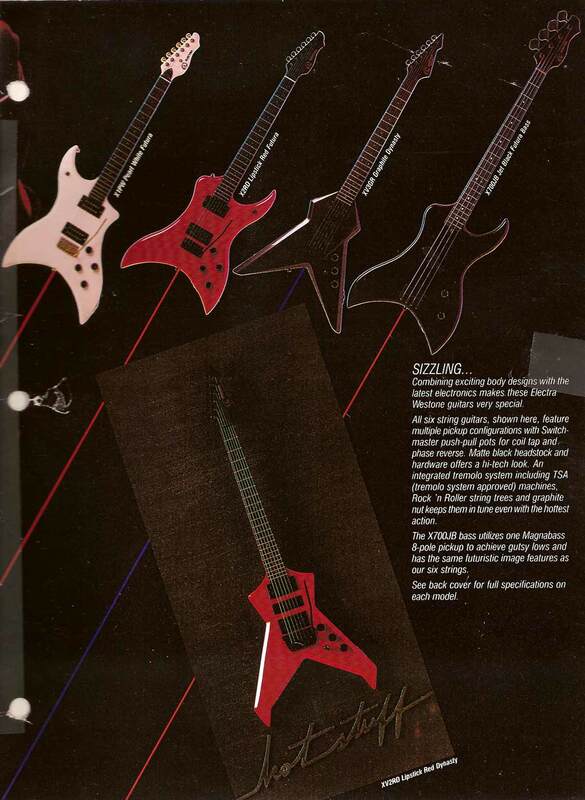 Like the X135 guitar, two different series of the X630 exist. All are bolt neck double cutaway with ash body, maple neck, chrome hardware, brass nut, brass hardtail bridge, one double coil pickup. 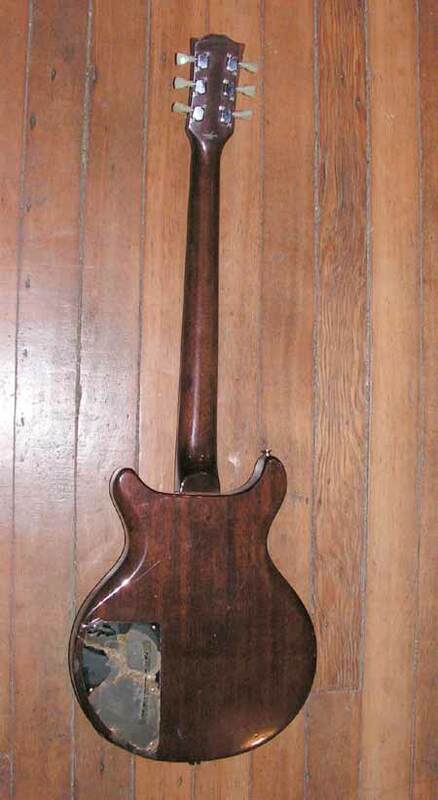 The early 1981-2 series has a black pickguard and brass knobs. 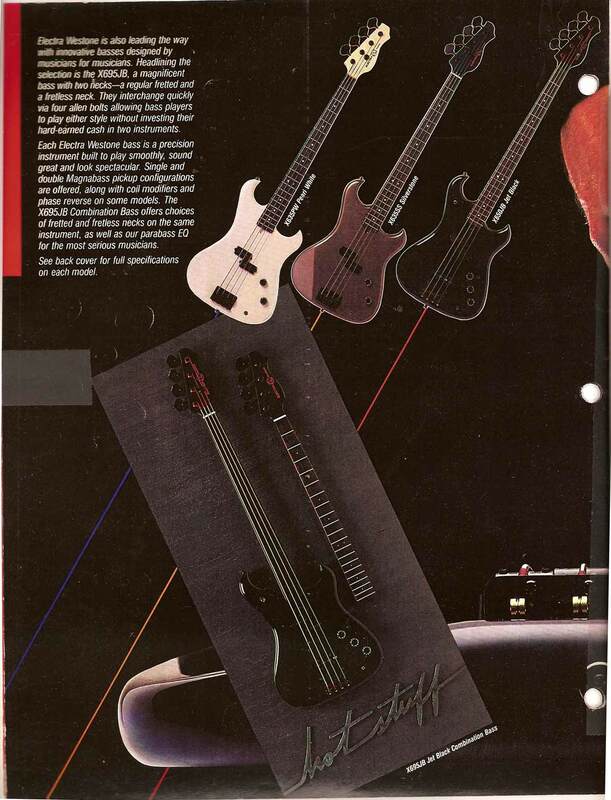 The later (1983+) series has the pickup set flush in the body with no pickguard and knurled black speed knobs, like the rest of the Phoenix models.